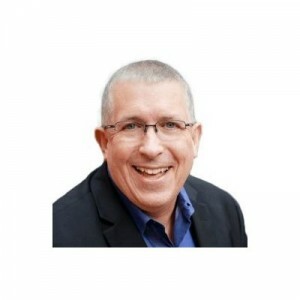 Frank Gustafson, recently named one of the top influencers among business podcasts and host of Lead Like a Marine and The Leader's Bookshelf sits down with Bob to share his experiences and compare notes on leadership. The number one trait that he sees on his 14 traits of Leading Like a Marine is compared to building the foundation of a new construction. He says that integrity is at the top of the list. If this is missing, the other 13 traits are just good ideas. Bob agrees and says that integrity is tightly bound to trust. After serving in the Marines and jumping through the corporate world, he was glad to not have too difficult a transition. He recognizes though that many veterans today do have difficulty. His first executive leadership job was in his 20s and there were two other people. They cam in only from a couple of hours a day and he did the rest. Everything. By having to do this, he learned a lot about what to do, and what not to do. The greatest days are the day you go to work and the day you leave. On that day you take all of the experience you have garnered. Keeping the leadership conversation going is important. Without it, nothing happens, whether it be self, ;leadership, leading others, or follower ship. It is all about education and practice. This was the inspiring need for the Leaders Bookshelf. He did this for himself, reading a leadership book a week for a year. Bob says that entrepreneurs on both sides of the Boomer divide have to focus on these skills. It is all about the relationship…not about title, or mailing list size, or subscriber base. Lead like a Marine was a show set to talk more about leadership and less about transition. As he rolled this out though, it became a discussion of what veterans brought out the the service and entered the business world and how difficult the transition is. Frank says the process of leaving is difficult. Training could take as long as a year, but the transition out is only dine through five 8-hour days. He quotes John Maxwell saying, “We hire for what they know and fire for who they are.” It is impossible for hiring managers to look a resume and see who they are. Frank and Bob come to the conclusion that leaders don't have to be born, that leadership can be learned. He is currently working on a new course offering. Frank on the web at One Bold Move.